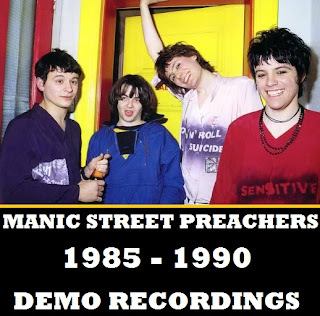 Manic Street Preachers - Early Demos 1985 - 1990. This is a collection of demo recordings from the Manic Street Preachers, recorded between 1985 and 1990 (it is more likely that the earliest material was actually recorded in 1986). A reasonable amount of this was probably recorded before Richey Edwards became a member of the band. An early version of their debut single (plus B side is included). Of the rest some made it on to B sides of single releases, some would eventually morph into tracks for the first album and some remained just as demos.